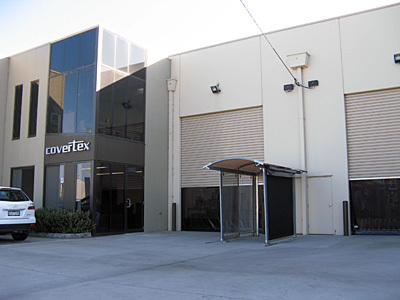 Covertex manufacture a range of PVC partioning systems for industrial and architectural applications. With over 20 years experience in working with PVC fabric structures, we design and manufacture practical solutions for factory / warehouse work spaces and outdoor entertaining areas. We are committed to delivering products of excellence and pride ourselves on providing a consistantly high level of service and customer satisfaction.